Report: Dwayne 'The Rock' Johnson set to lead SEAL team against … demons? 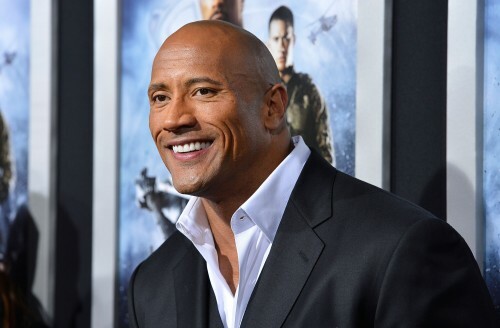 You are at:Home»Entertainment»Report: Dwayne 'The Rock' Johnson set to lead SEAL team against … demons? Recent cinematic efforts involving Navy SEAL units have included the dramatized takedown of a terrorist mastermind and real-life special operators lending their talents to Hollywood. Later this year, an adaptation of a SEAL’s story of a 2005 ambush in Afghanistan will hit theaters, with Academy Award buzz likely. Also, “The Rock” is going to kill some monsters. The Hollywood Reporter reported yesterday that the wrestler-turned-actor-turned-sometimes-wrestler Dwayne Johnson will star in “SEAL Team 666,” in which special operators will “battle demons” as they do in the Weston Ochse novel of the same name. Not based on a true story. Based on this story. So much for that “inspired by real events” tagline. Reviews of the book on Amazon have been generally positive. The novel has spawned a series. A quote on the book’s cover from another author says it’s “like ‘The X-Files’ written by Tom Clancy” — a statement that all but promises entertainment. Or a train wreck. Or both. This A.V. Club piece sums it up nicely. The Rock is no stranger to blasting supernatural bad guys, having portrayed “Sarge” in 2005’s ill-reviewed “Doom,” based — sort of — on the video game of the same name. He’s just finished filming on “Hercules,” set for a July 2014 release, according to THR, and is shooting “Fast and Furious 7,” in which he and Vin Diesel likely will slay demon spawn drive fast. What’s your take? Promising popcorn flick or straight-to-DVD disaster? Let us know.